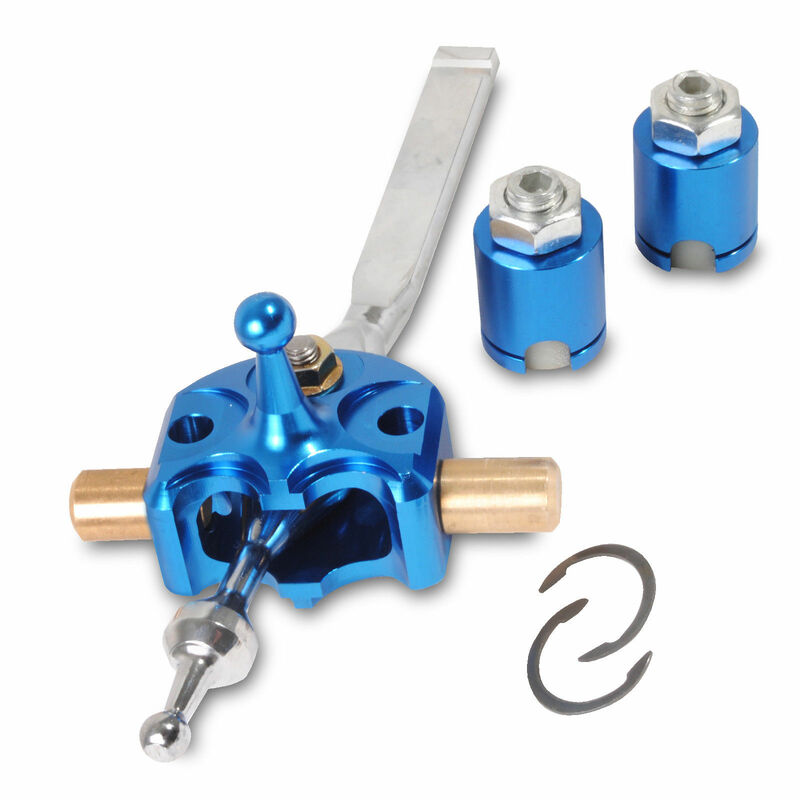 There are a few options now for upgrading the standard gear shift mechanism in our 996's. General forum opinion across this forum, Rennlist and others appears that some are better than others, but all are quite expensive. I have to declare now, that the below is not my original idea, I've done some web research including using Alex Yates ideas, so credit due to him. No doubt his solution is better engineered than my own effort. 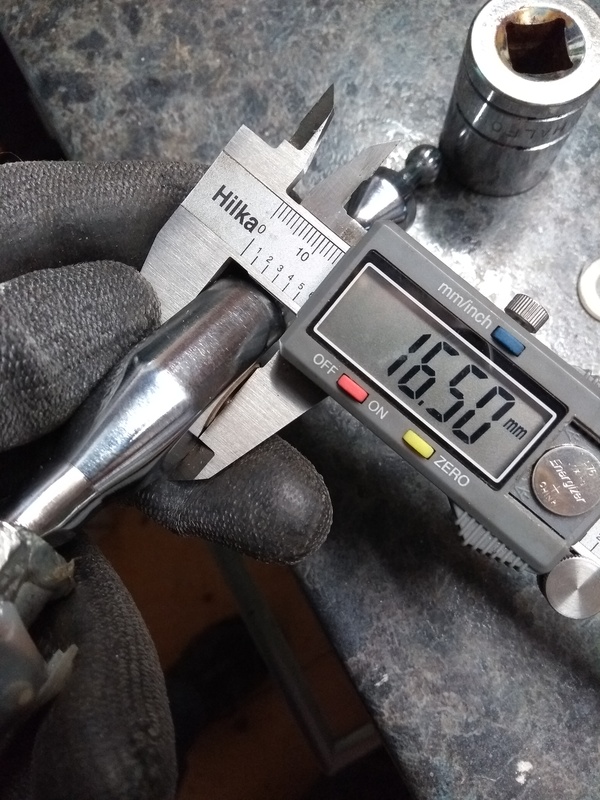 Mine stands me around 35 quid including buying the shifter mechanism, so majors on value for money rather than engineering integrity. 2.) Buy a couple of Bronze Bushes....... 1 x 16mm OD, 10mm ID, 16mm long and 1x 16mm OD, 10mm ID, 20mm long. 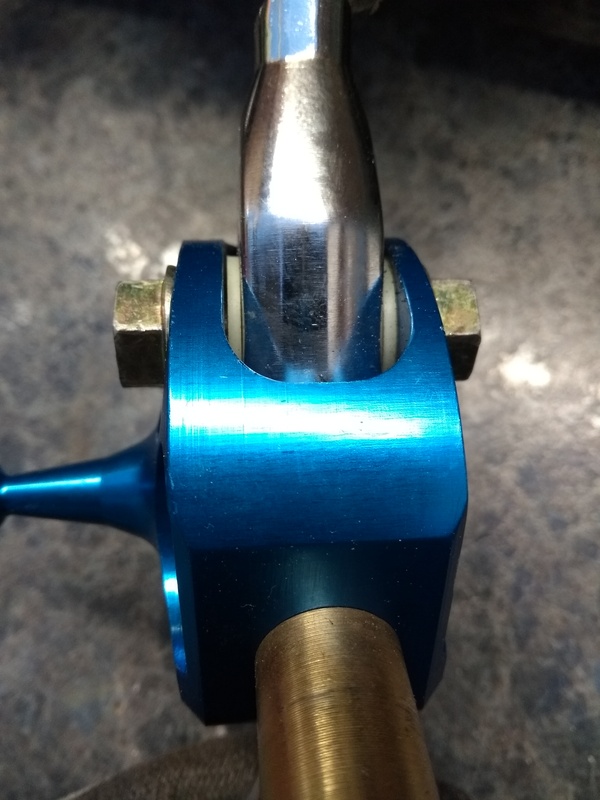 The reason for this is that the quality of the machining and hence dimensions of the blue bracket / lever assembly can be variable. When you get the new shifter, you'll find that there is sideways play in the lever perpendicular to the pivot. This translates to sideways movement in the gear knob whilst the lever is in gear, let alone having to "take up the slack" before you can move the lever sideways across the gate to select the 1/2, 3/4, 5/6, planes of movement. The reason for the play is that the new shifter uses a needle roller bearing which is not suitable for this application. We will replace it with a Bronze Oilite bush instead. NOTE ABOVE: The mechanism also uses nylon washers to take up the slack. 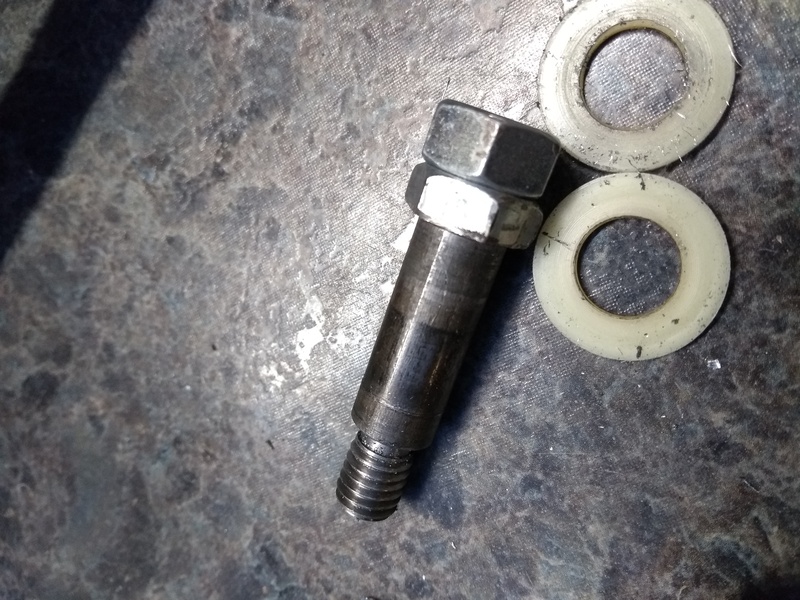 In the course of doing this work, I found I had one SSK already fitted to the car that needed to re-use the washers, but the one I bought from eBay on the link above was able to use the 20mm bush and dispense with the washers altogether. 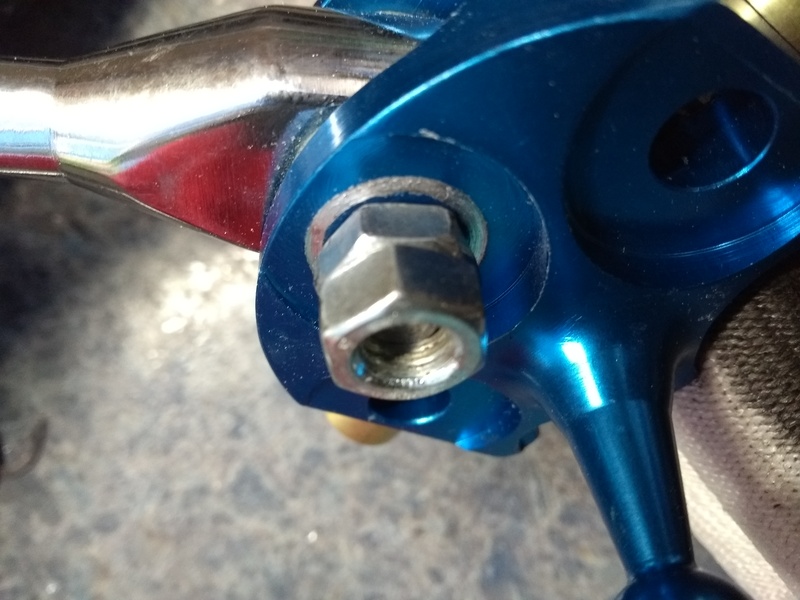 In both cases when you tighten the 13mm nuts either side to the blue lever housing you need to make sure you don't over tighten as the lever will bind against the side of the housing and not operate smoothly. Below you can see the difference between the bearing / bush. 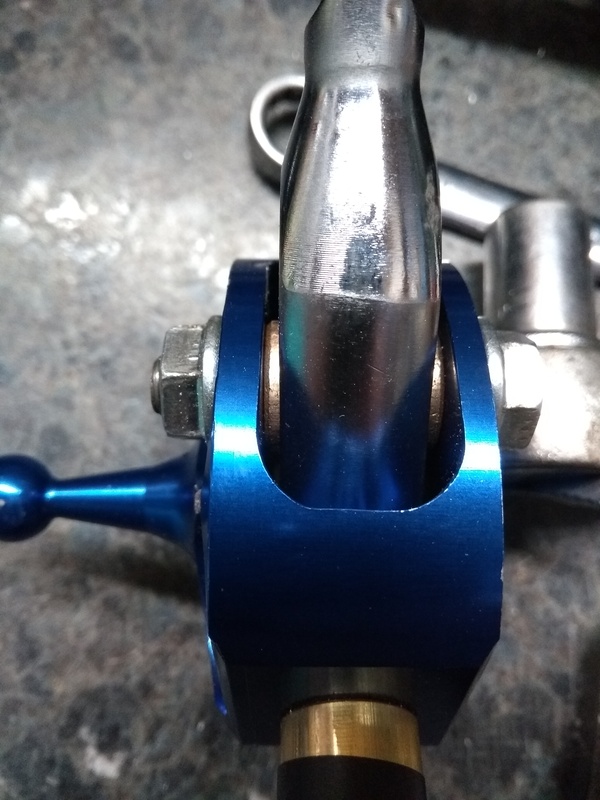 Lastly, the bronze bushes in either end to the mechanism are designed to turn a small amount within the nylon cups held in the blue cup housings when you operate the lever sideways across the 1/2 to 5/6 plane. I found there was a bit of play there which I took up with a single layer of insulating tape. The jury is out on whether that will last, but its nylon tape turning a comparatively small amount within a nylon cup. 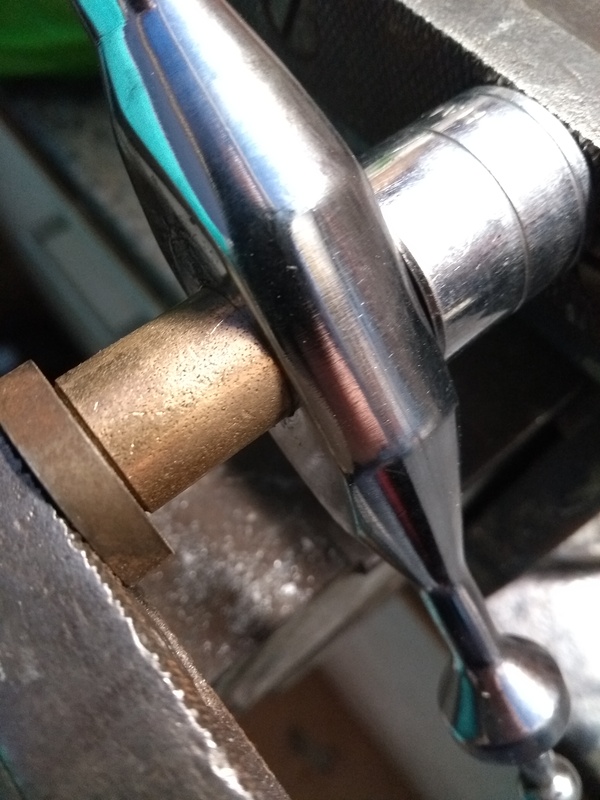 The upshot is a vastly reduced amount of sideways slop in the lever whilst the lever is in gear as well as not having to take up the loose slack before operating in the sideways plane. 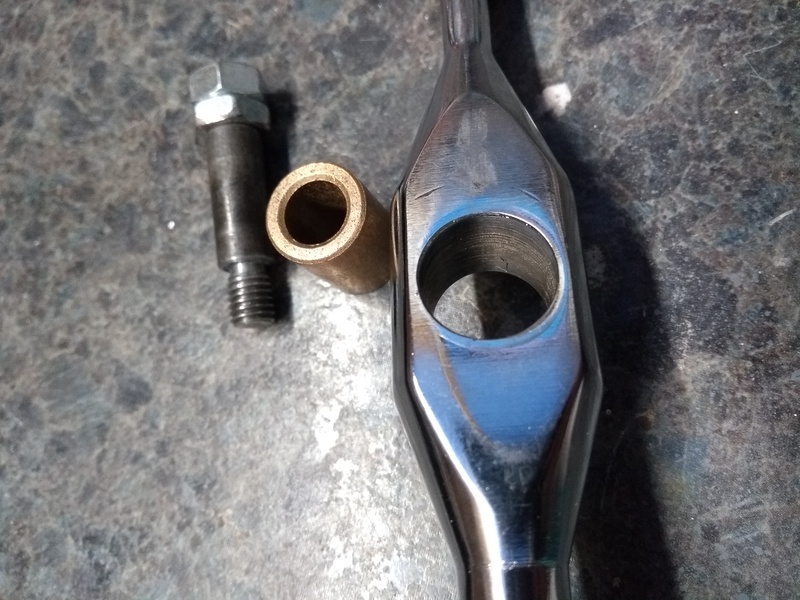 Though I have found that the weak point now, is the slack within the standard Porsche plastic lever which translates the side to side movement to the gear cable. Not much we can do about that except re-engineer the whole assembly from scratch. Anyway, a fairly cheap and easy mod. Looks good - would it be possible to reduce the bush for a perfect fit either on a lathe or wet/dry paper onna flat surface? Yes, but I think that's where Alex comes in with a better engineered solution. You could file the end, but then it would start introducing issues where the wobble your trying to eliminate may return? I shimmed my original eBay SSK after a few months to remove all the play between the blue body and the lever. This did improve shift feel but it was sometimes still difficult to select reverse and over time it bothered me. 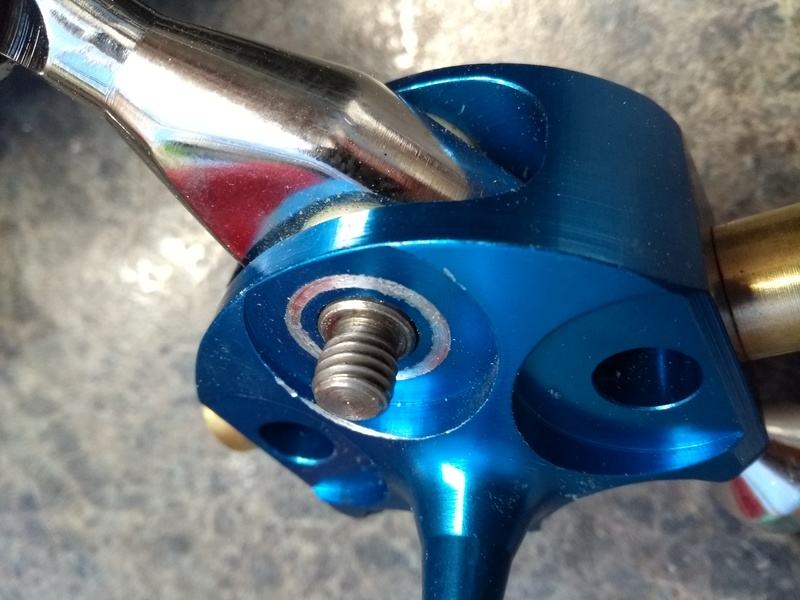 Alex’s SSK upgrade is not a big spend but it really does improve the feel and performance of the eBay gearchange & reverse selection, I’m very pleased I ended up going that route eventually. I love finding cheap solutions and saving a few quid but since the gear change is such an integral part of driving a 911 I think it’s worth the extra and is why others have spent much more on top end upgrades. I have a couple in stock at the moment all ready to fit. PM me if any one is interested. 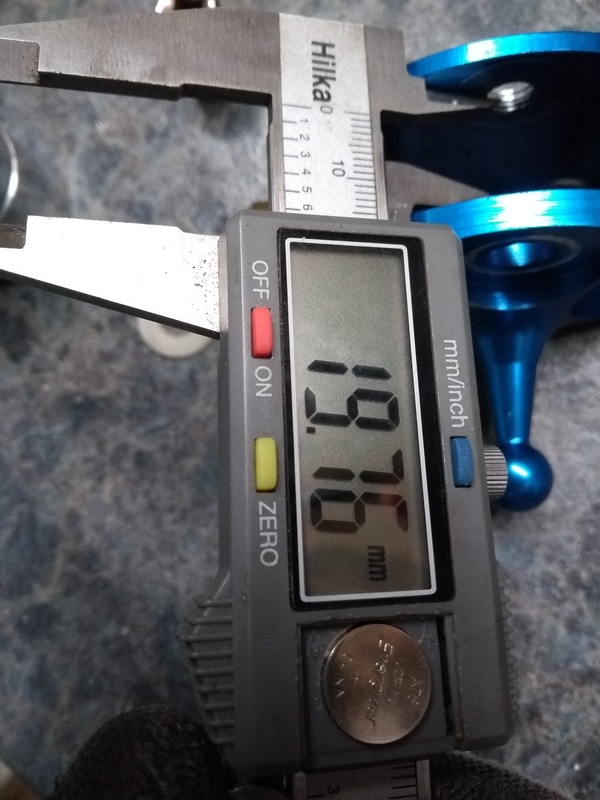 Just worth noting, the plastic cups have to have that amount of play in them to compensate the poor manufacturing of the cradle with the brass shafts being so out of line. Yep, pay your money, take your choice. 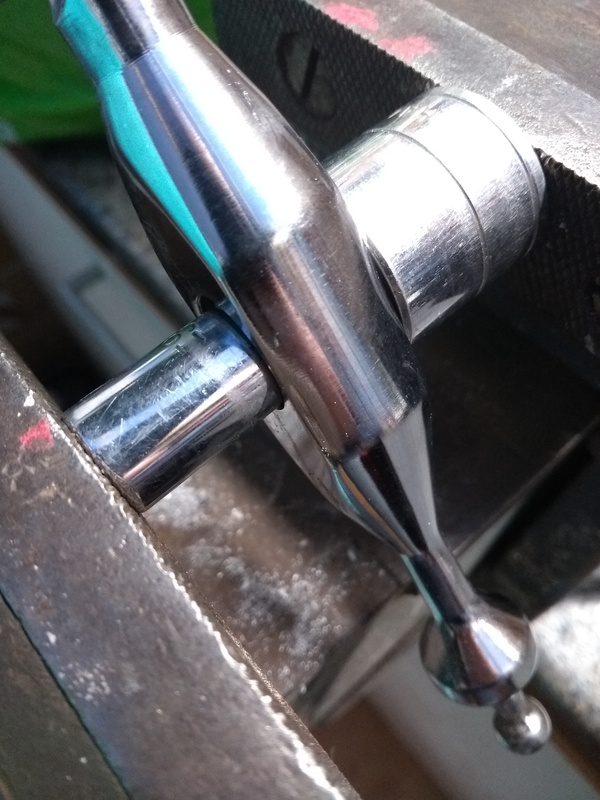 If you already have a short shifter fitted, this mod will cost £1.63 and some time to yield a significant improvement. 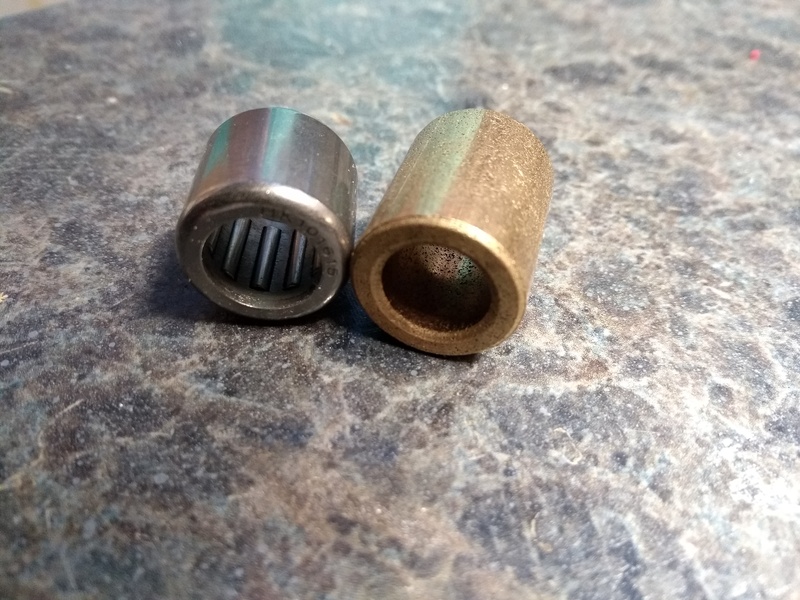 I understand someone on a Boxster forum replaces the nylon cups with roller bearings between the brass shaft and aluminium cups. 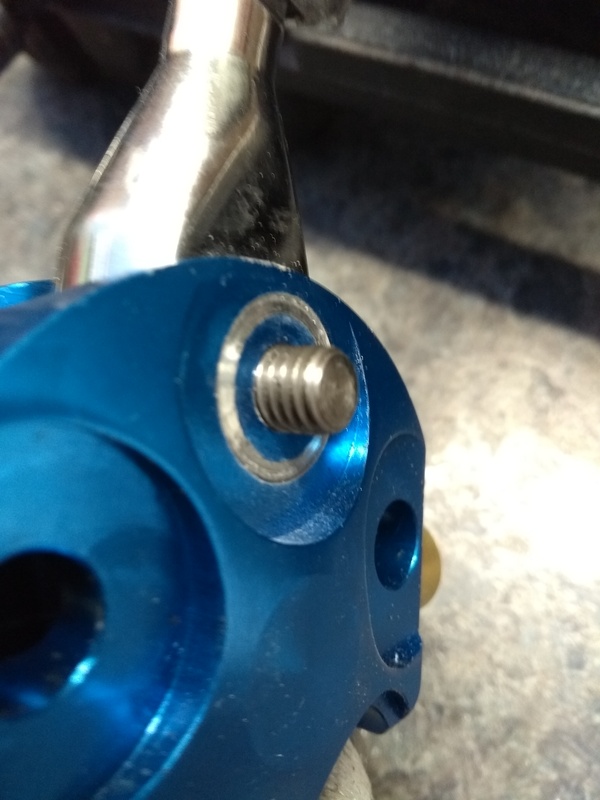 With rigid mountings and bushes, the weak point appears to be where the blue housing lever ball moves the plastic yoke up and down to convert this movement to back and forth for the gear cable. 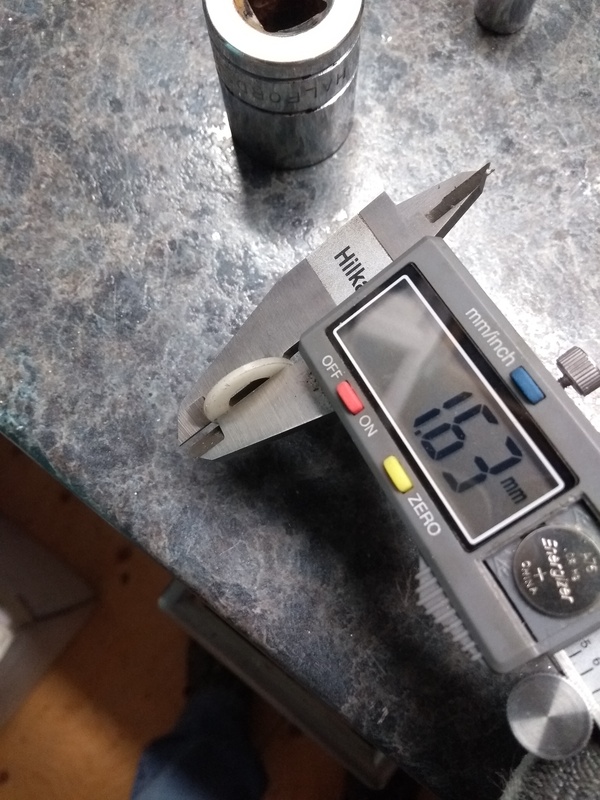 I forgot to say, the measured running clearance of the pivot bolt within the bronze bush is 0.05mm. So practically eliminating side to side movement with this part of the mechanism. Your mod is deffo worth doing to the standard Chinese ssk. 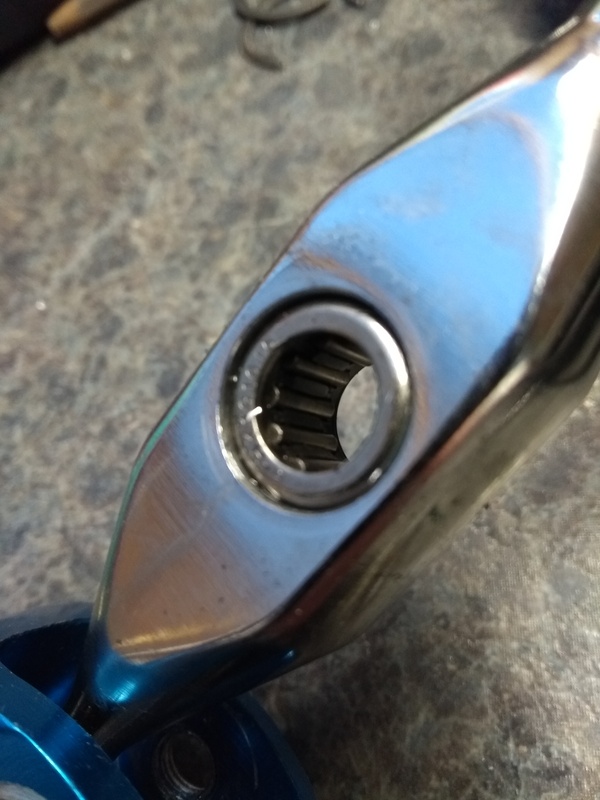 That inferior roller bearing they fit is beyond crap and something I'd only expect to find in a cracker. I think I have a short shifter in mine but not sure as I’ve never driven another manual 911. It feels heavy and clunky, I was always expecting better. The clutch is on the long side so probably dosnt help but is still working fine. I’ll get a look and see what’s in it. I've done quite a lot for lads on here now and they all rave about them. The write-up also gives you an idea how bad the standard Chinese one is, hence Jamesx19 modding his. 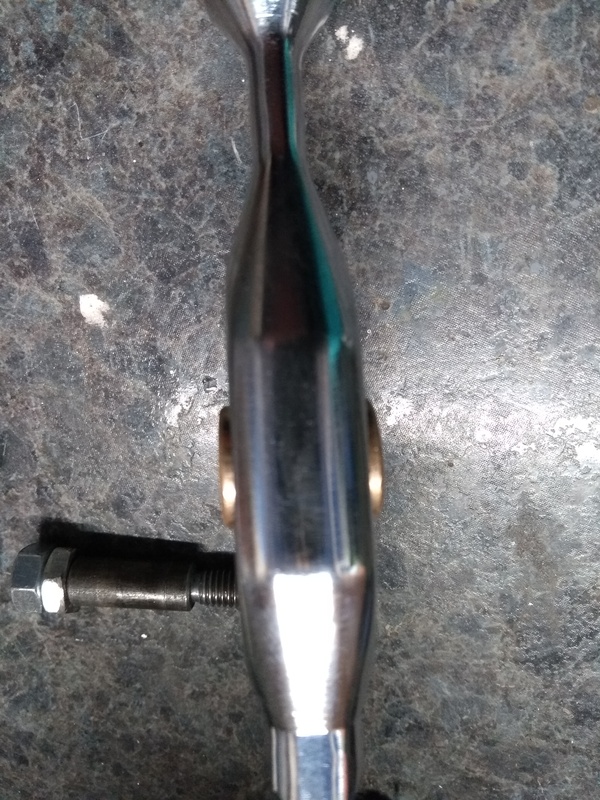 I’ve just checked my shifter and sure enough it’s the type that you have James. There’s quite a lot of side to side movement and looks really bad when your actually looking at the unit itself. I’ll order some bushes here and try them. Hope it does the business for you, let us know what you think as well. Ok. Got stuck into this tonight. As I already had the he ssk I didn’t have to remove the whole thing from the car. All I simply did was beat the old needle bearing out and tapped the new one in. Awkward enough in the car but it’s done now. I don’t have digital verniers but I got a reading of 19mm so I just ground the 20mm bush down. Went a little to far at 18mm but it wasn’t the end of the world. I just had to use one nylon washer to space it out. It’s a vast improvement on before but there’s still a little movement from elsewhere in the shifter. I took a before and after video of the movement and the difference is very clear. Great little mod this, goo job Love it when there is a cheap, well thought out solution, so satisfying, will give this a go! Just need a solution to the play between the shifter ball end and the plastic transfer thingy! Glad you found it was worth doing. 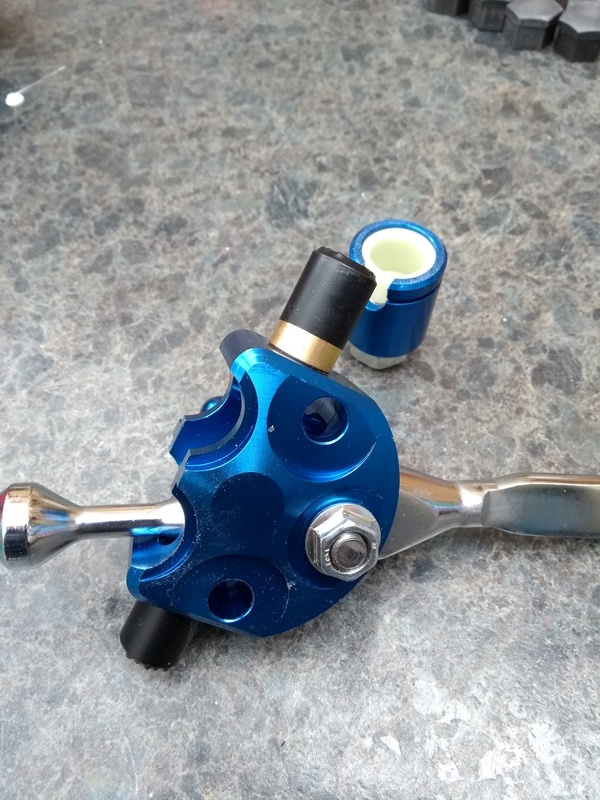 Yeah, looking at the "function first shift right" kit, there is something to be had by replacing the plastic yoke with a machined metal steel / anodised aluminium one, or maybe even just a cheap easy mod to the pivot and cable connectors? If anyone has and old shifter assembly that is surplus maybe have a play with some metal bushes and bolts? Yeah there’s definitely a lot more improvement to be had but the bush will do me for now. I must actually use the the car. I've investigated the side movement mechanism and to bbe honest, unless what you have there is seriously mullered with a big groove down it, you're waiting your time. But if it did there's many options to sort it that would cost pennies. Like I said, on anything I've seen it's not worth doing.